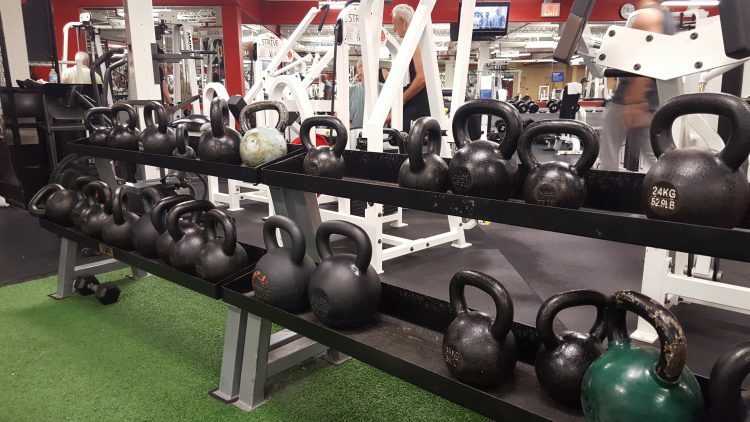 Kettlebell swings and Weight Training – Can they Help you fight depression and anxiety? How to fight depression and anxiety is a topic that is urgent. This post will not go into how to fight depression and anxiety with drugs or medications, or even electric shock therapy. If any of you saw Woody Allen's latest depressing film, Blue Jasmine, we see how well electric shock therapy worked out for Jasmine. The movie concludes with her sitting on a bench and babbling incoherently to herself. I am not going to speak about fighting depression and anxiety with talk therapy. Drugs, medications, talk therapy and I imagine even shock therapy have their place, but I want to suggest an additional method how to fight depression and anxiety which is much more benign. If you have been searching the web to learn how to fight depression and anxiety, you have come to the right place. For full disclosure, I have battled with depression, obesity and anxiety for a good part of my life. I have used medications and talk therapy. The side effects of those medications carried a very steep price in my case, too painful to rehash in this post. Talk therapy is effective and exploring additional options to cope with depression can only be a plus. The point of this post is not me, the point is you. I want to tell you that the most effective treatment that I have experienced for how to fight depression and anxiety besides talk therapy is with nutrition and exercise. Of course, review any or all of this information with your medical professional, but if I was looking to learn how to fight depression and anxiety, the first place I would look at is: what's on my plate and how much am I moving every day. 1. Get out your camera or smart phone. Take a picture of yourself today in the mirror. Take a look at the photo and put it away. 2. Get on a scale and weigh yourself. Note the weight and any other measurements available like BMI and body fat percentage. Note them down. Sign up for an account at https://myfitnesspal.com which is a great tool for tracking your eating habits. 3. Measure your waist. Write it down. 4. My assumption is that you will need to lose about 20lbs to get into better shape. If you are already at your ideal weight, then go directly to strength training. 5. Whatever your target weight is, assume approximately 10 calories per pound for your target. If you want to weigh 180 pounds, then have 1800 calories a day as an example. 6. Use the tool to figure out a meal plan using as much real food as possible. Yes, you can eat ice cream bars, but you are not getting the best nutrition. Plan your meals and plan your ice cream bar once a week. Just stay within the calories that you are shooting for which will bring you to your desired weight. 7. You should be eating between and 4 and 6 times a day, 300 to 400 calories per meal. You will not feel deprived and the stable blood sugar will keep you in a good confident mood. 8. Drink 8 – 10 glasses of water a day. 9. Start moving. 30 minutes of cardio every day or every other day to begin. 10. Weight training 3 – 5x per week. and then keep alternating Bench Press and Deadlifts with your Squats which remain consistently every other day. 11. Keep adding weight gradually to get stronger as the stronger you feel physically you have a greater chance of coping with depression and obesity. Remember, an imperfect workout that you do consistently, is much more effective than the perfect workout that you never do. If this seems like a pretty simple prescription for how to fight depression and anxiety, it is. Please let me know if this has helped you. As always, consult a medical professional before implementing any of the advice which you find on this site.